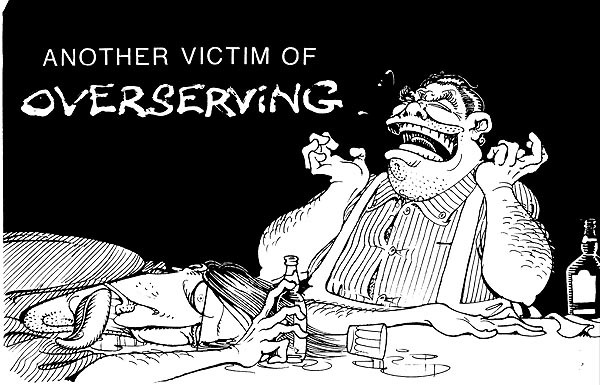 When I heard the term "overserving," (as in, "the patron had clearly been overserved") the cartoon was obvious. I myself have often been a ictim of this shameful practice. This is just an absurd example of the way that everyone wants to be a victim, no matter how idiotically self-inflicted their suffering.